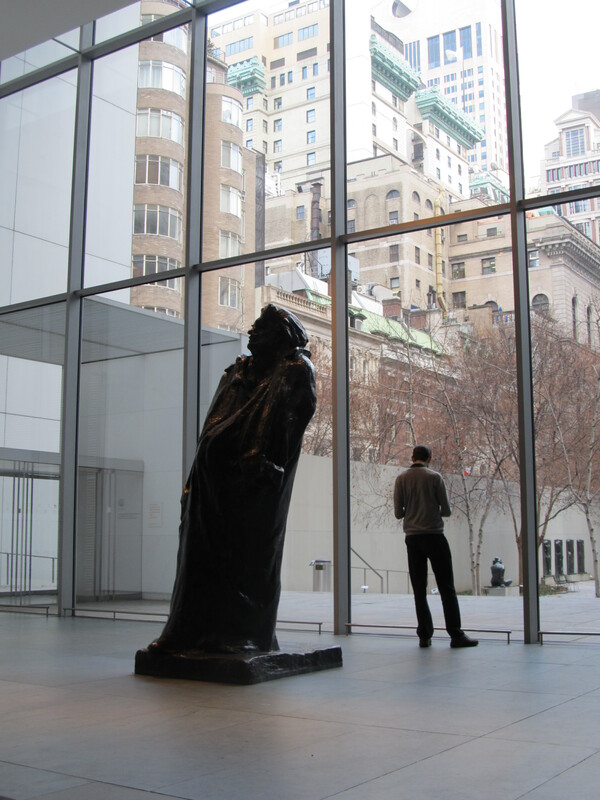 While I stopped in the MoMA lobby to draw up plans for my visit to its galleries, I was caught by this image of a fellow visitor standing by the window, glancing between his museum floorplan and the view outside. I love the shape of the man and the statue, each leaning in their different ways. This entry was posted in Arts and tagged Art, MoMA, Museums, Photography, Travel. Bookmark the permalink.